POSTER: Special edition lithoghraph on eco-friendly hemp paper and soy inks. 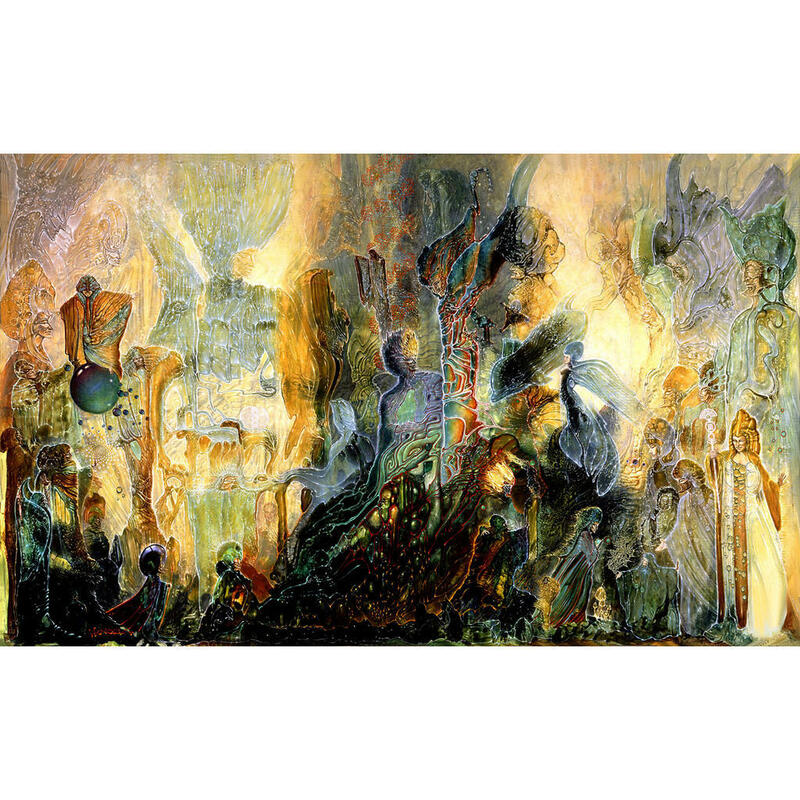 New York City born, Venosa was transported into the world of fine art in the late 60's after having experimented with psychedelics and having seen the work of the Fantastic Realists - Ernst Fuchs and Mati Klarwein in particular - both of whom he eventually met and studied under. Of his apprenticeship with Klarwein, Venosa says, "What a time (Autumn, 1970) that turned out to be! Not only did I get started in proper technique, but at various times I had Jimi Hendrix, Miles Davis, Jackie Kennedy and the good doctor Tim Leary himself peering over my shoulder to see what I was up to. "